Fresh from our "Please don't let it be a black person" file, it actually may be, at least according to victim Bethany Storro, 28, who had acid thrown in her face by what she describes as a black woman. Police don't know what prompted the attack, although they believe someone who is mentally ill carried it out. The attacker is still at large. 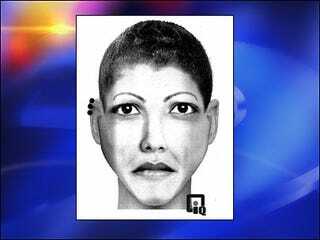 Police have released a sketch of the woman, who stated, "Hey, pretty girl, do you want to drink this?" Attacks of this kind are odd because they normally take place in South Asia. If it is determined that the attack was motivated by race, then the attacker should be charged with a hate crime, plain and simple.